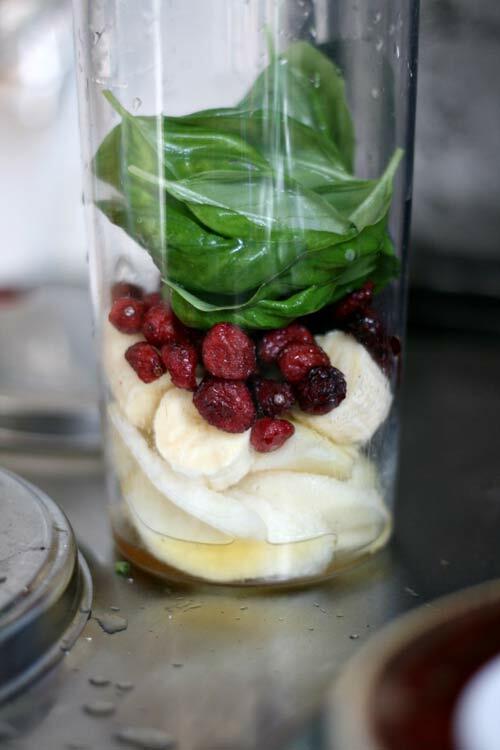 blend all ingredients and put in the fridge for a while before serving! 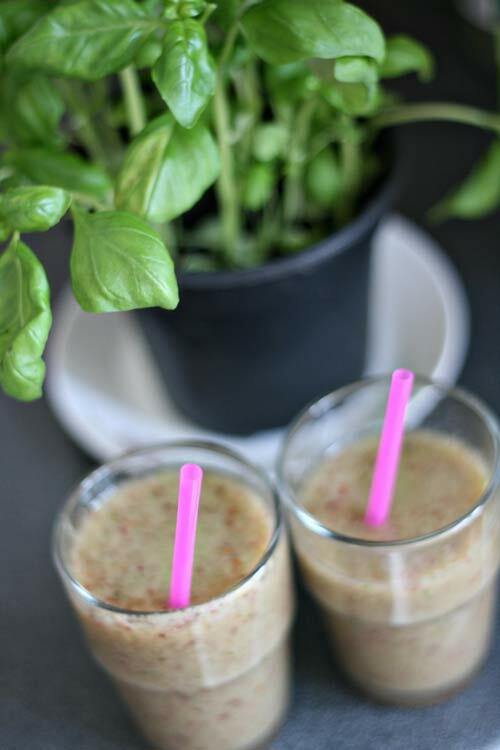 the hint of basil in the drink is delicious. i can't wait to try out more combinations. 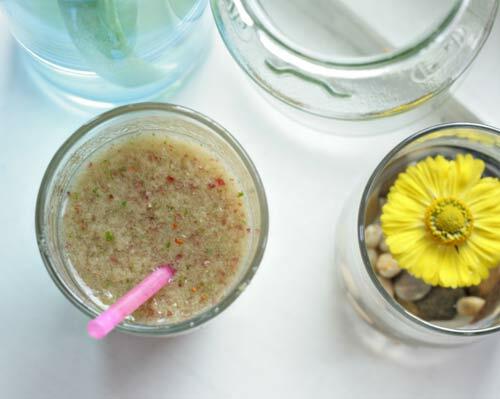 have you ever tried something like this or what is your favourite homemade smoothie? Funny-I just posted that you can never grow too much basil and then I see your post! ohh this sounds yummie. need to try it! this looks and sounds delicious! i'm glad i have a blender myself. maybe we can make some smoothies together! I've never used basil in a smoothie, but glad to know itnis good!